Most children write letters to Father Christmas, but John, Michael, Christopher and Priscilla Tolkien were fortunate enough to receive many letters in return. Between 1920 and 1943, J.R.R. Tolkien would write letters to his children from Father Christmas. Father Christmas recounts stories to the children, including the misadventures of the North Polar Bear. From falling through Father Christmas’ roof, to setting off the Northern Lights that shatter the moon into four pieces, the North Polar Bear is always getting into trouble. Throughout the years, the North Pole goes through a goblin war and experiences some wartime difficulties all while preparing presents for children everywhere. Tolkien was clearly a wonderful father as well as a genius. This book is a compilation of the letters he wrote over 23 years to his four children from Father Christmas, beginning when the eldest was 3. The letters and the artwork are creative and beautifully done. The stories and the characters Tolkien created were perfectly charming, especially the North Polar Bear. These letters captured the magic of Christmas and made me feel like I was nine again. I think this is a wonderful read for all ages at Christmas time. I loved hearing the different tales and mishaps that occurred that year at the North Pole, and reading the side notes from the Polar Bear. The drawings were lovely- I’m so jealous of the Tolkien children for receiving these letters in the mail. I wish I had read this book sooner; I don’t know how I didn’t hear about it before now. 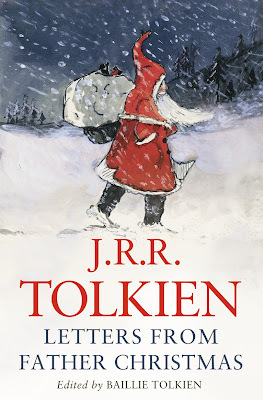 Letters from Father Christmas made me love Tolkien even more than I already did, which I didn’t think was possible.